As this book concludes, one can only be fascinated by the possible centuries-later sequels that might be ahead. As an avid reader, I'm enthralled by the thought. As for this finale, it pulls together all the surviving lead characters of the series and weaves their lives, their adventures and their conflicts into a can't-put-it-down tale. As always, Raina is a fascinating mix of cunning animal and an increasingly perceptive young woman. Walt remains Mr. Grit and incredibly also Mr. Luck. 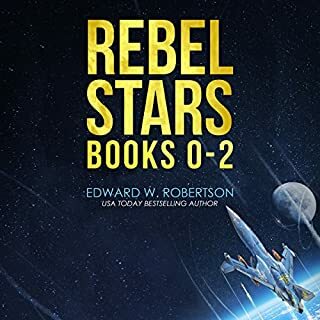 Mauser stands fast as an ineloquent but wise second and Ness and Sebastian remain the most unlikely but loyal pair of friends I've encountered in 6+decades or reading science fiction. Breakers starts as an outbreak story, then becomes a post-apocalyptic survival story, then an alien invasion story, then a war story. I'm a sucker for several of those story archetypes, so this is right up my alley, but Breakers transcends all that by being something more. Breakers is about people, both human and alien people, finding a way to keep going despite the odds against them. It starts with discrete groups of people in different places, but Robertson weaves their stories together, so that it keeps coming back to some of the key players. It was like meeting up with old friends every time he'd come back to folks I hadn't heard from in a novel or two. The characters are whole, flawed beings, and Robertson spent enough time on them to make them real, something that some authors don't do. I didn't love the narrator at first. A little too gruff and dramatic, but he grew on me, probably because I loved the story so much that I started associating his voice with something I loved. The series ends beautifully, with wistfulness and hope, and it left me in tears. Thank you, Mr. Robertson. 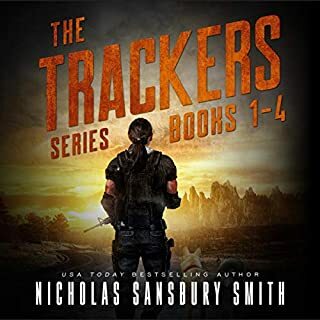 I got started on this series as deal of the day, 1st 3 books in one. 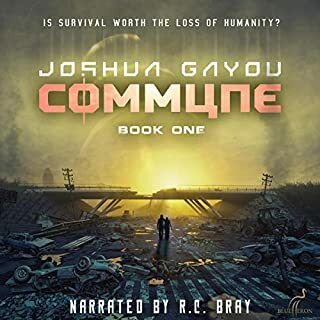 I am so glad Audible does this or I'd have missed this series, It's great from start to finish- love the world the author created. Good story about human perseverance and life going on during a major world crisis. 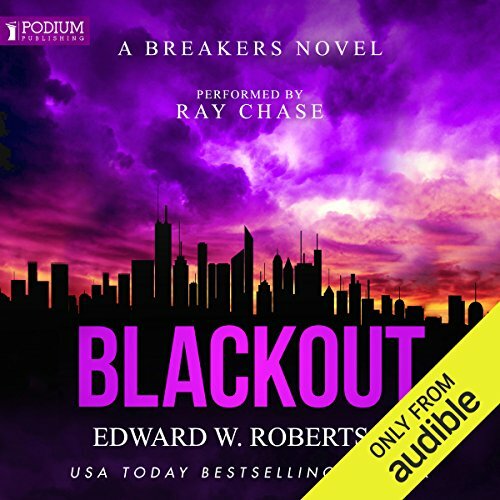 Narrator does a great job, so glad he did all the books.Loved the characters ! No Words!!! absolutely amazing series! The most in depth intricate post apocalyptic literature I've read in my life! Ray Chase is a stud, loved the alien inflection hahaha. wish more series were available to this level. Throughout the series I’ve had mixed feelings. Some additions were great, others so so. I thought this ending was great. I liked the twists and turns and coming together of the main characters. The story line felt realistic not just everything comes up roses. The story line reminded me of many shows I’ve watched but that did not detract from it at all. Ray Chase is masterful throughout these novels. His character voices are excellent and he brings the story to life. I wasn't sure about the books at first but now I love them. What a terrific series ending finale! Loss, redemption, resilience, forgiveness, regret, hope, encouragement, love, and acceptance from front to back.All the major characters are brought together for one last battle to outshine the others! In Nt he slight chance that this series is ever brought to tv (I think the production team behind Walking Dead would be perfect..definitely AMC) then fans worldwide would drop all other plans and geek out while sharing the love of the mythos. 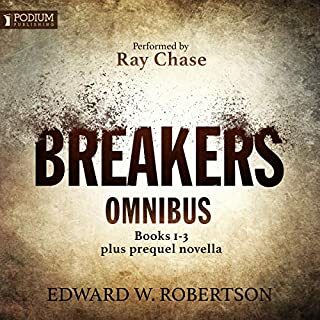 Ray Chase delivers again (his Mauser is reminds me of Hugh Jackman for some reason), if theres a Noblel for audio books then he's a shoo-in...Im spreading the word of this series everywhere, I LOOOVE IT. Definitely my favorite book of the series since the first one. Absolutely loved the whole thing. I really enjoyed this series and the last book did not disappoint. The performance was really good. 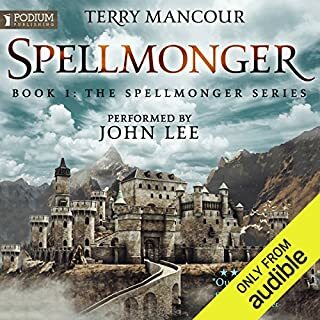 I have been listening to this series over the last month or so and have just finished the last book. I have loved each and every one of them and grown fond of the many characters, I especially liked the voice of Sebastian and if truth told was my favourite and made me smile many a time. I am going to miss them all. For me the narrator did an excellent job and brought the book to life. Would definitely recommend these books. this book does very well wrapping it up and feeling like it is the end without be completely final. This was my favourite book after the first 3. I would still love to know where the missing alien weapons went from book 5. Amazing as always, great ending to the series and does a good job of wrapping all the story lines up nicely. Hope he revisits the world to bridge the gap between this series and rebel stars. Would you listen to Blackout again? Why? I can see myself listening to the whole breakers series again at some point. 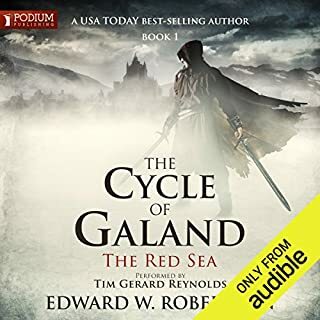 I took a bit to get into it through book 1, but after book 2/3 I actually thought that was it for the series until I found all the rest of them and just binged through the remaining audibooks. Everything Walt does is comedy gold, he just has great comedic timing. This series had me enthralled from the very beginning! Very hard to describe any particular favourite moments. The whole series was a very enjoyable story. Great mix of characters and individual dialogue. The twists and turns went entirely predictable and not to outlandish. I feel a bit sad that it's all over.